Salted peanut roasting machine is generally applied for drying nut materials like peanuts, chestnuts, cashew nuts, hazelnuts, ginkgo and other granular materials. These final roasted products made by the roaster are good in taste, clean and sanitary and meet the export standards. 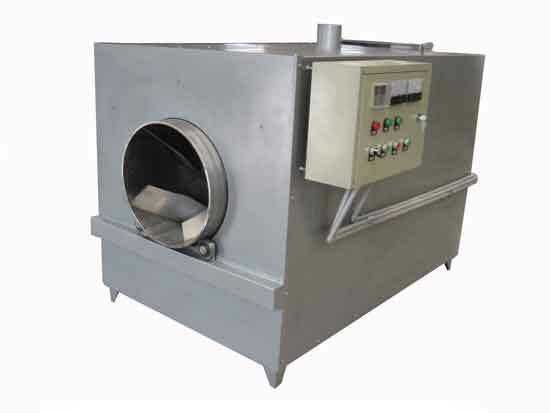 The electric peanut roaster machine is featured with reasonable structure, high efficiency, energy saving and easy operation, which highly be proven by lots of peanut product factories. 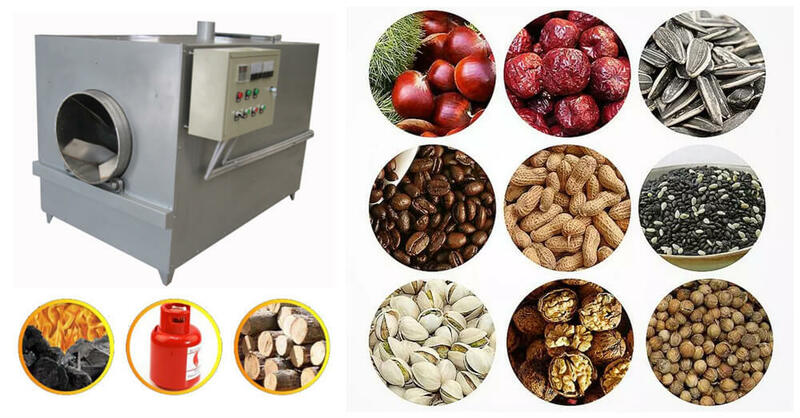 The salted peanut roasting machine takes the electric heating system, and use hot air as drying medium to make the heat effect on the roasted materials. During nut processing, these materials flow into the inner barrel under the function of the flow deflector and then into the outer barrel. Therefore these roasted nuts can flow continuously in the roasting machine. At last, the evenly salted and high quality roasted nuts can be achieved successfully. Note: This machine can also be heated by fuel such as coal, wood, etc. This roaster is equipped with two discharging barrels. After nut roasting, you can install one discharging barrel with round holes, then the finished nut products are discharged from the machine entering the barrel, salt staying inside the roaster. Let salt out of the machine, you can install another discharging barrel with no holes. As a professional supplier of food processing machines, Amisy is committed to offering a comprehensive range of top quality machines with unbeatable price and thoughtful service. Amisy Group- Welcome your contact for price & advice, glad to receive your message. © 2018 Amisy Group, China Renowned Supplier of Food Processing Machinery. All Rights Reserved.